Fetal alcohol spectrum disorder (FASD) may sound obscure, but misdiagnosis or misunderstanding in schools can have a lasting effect on young people who have the condition. It’s likely that your school supports young people with autism. It’s also likely that, if you were to have trouble supporting a young person with autism, you would know where to turn. You might even have an autism expert in school. What if I were to tell you that there is a condition just as serious and as prevalent as autism, but that those affected by it are rarely identified and receive little support in schools? I am willing to bet that your school does not have a member of staff with expertise in this area. What would you think? Fetal alcohol spectrum disorder (FASD) is a blanket term for a range of disorders caused by pre-natal exposure to alcohol. Rates of FASD are thought to run at about two to five per cent of the population, whereas rates of ASD run at approximately one per cent of the population (Rowbottom et al., 2010; Bakhireva et al., 2017). Despite a greater understanding of the dangers surrounding alcohol during pregnancy, the condition is not disappearing – in fact, it could even be on the rise. 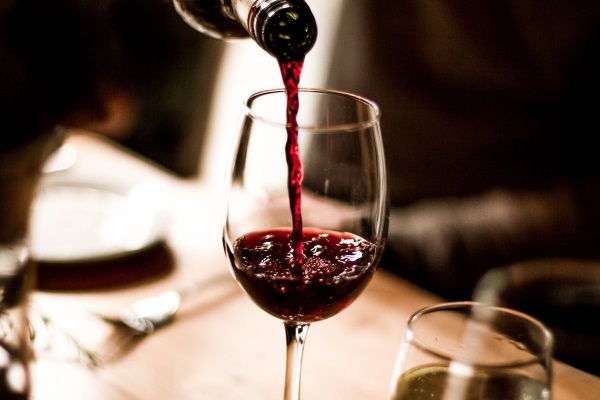 Societal habits such as binge drinking, and even more casual, ‘glass of wine after dinner’ drinking mean that the condition is spreading across socioeconomic groups (Walker et al., 2011). It does not just affect women in difficult circumstances, but also those who drank normally when they were not yet aware of their pregnancy. And it is not just alcohol. Drugs and other substances, including legal highs, can affect the development of the fetus. I wonder what you are thinking now. Do you recall a picture you saw long ago of the facial features of FASD: a small flat top lip, and wide spaced eyes with deep folds of skin around them? Less than 10 per cent of people with FASD present with these facial features, and those who do are not necessarily the most severe cases. Perhaps you are thinking that, if the condition is as prevalent or as serious as I’ve made it out to be, why have you not heard of it before, and why does your school have no interventions in place for it? a higher risk of drug and alcohol problems. FASD can damage the brain in such a way that it struggles to regulate and process emotions, increasing the likelihood of depression. In the classroom, you end up with a pupil that struggles to pay attention, is a bit naughty, and a bit sad. That pupil presents with behaviour that challenges you. FASD is often misdiagnosed as ADHD. Although the two can commonly co-occur, they are not the same condition. FASD involves structural damage in the brain; the medications that work for ADHD can have a damaging effect on a child who does not have the condition. Perhaps that naughty, distracted pupil is not your top priority. You can manage their behaviour. They are an irritant, a source of frustration. Our misunderstanding of young people with FASD is the biggest cause of those secondary disabilities. We respond very differently to someone whose challenging behaviour is the result of a physical abnormality in their brain than we do to someone who likes to be a bit mischievous. Young people with FASD desperately need our understanding. As with all conditions, early intervention is crucial, and for some children even life-saving. We are the generation of teachers and practitioners who must devise strategies to help young people with FASD meet their potential. Being aware of the deficits associated with the condition is a good starting point for our provision. There is evidence to suggest that children with FASD can be taught the brain skills they lack naturally (Riley et al, 3003; Kingdon et al, 2016). This is something you might already do for pupils with other conditions, such as visual impairments (who can be taught information about the physical world that sighted pupils will acquire naturally). For FASD, we might need to overtly teach social awareness where the brain does not have the capacity to acquire these skills. That’s not to say we should be overwhelmed by a catalogue of deficits. Tapping into a young person’s strengths in order to compensate for the other areas in which they struggle should be our primary responsibility. With the right support from an early age, children with FASD can be helped to thrive later in life. I am in the process of creating a set of developmental sensory games that target specific areas of weakness in the brains of people with FASD. You can find the published guides via The Sensory Projects website. Rowbottom, L., Merali, N. and Pei, J. (2010), 'Interventions for Non-biological Caregivers of Children with Fetal Alcohol Spectrum Disorder', Developmental Disabilities Bulletin, 30/1, pp. 35-54. Riley, E. P. et al. (2003), 'Neurobehavioural Consequences of Prenatal Alcohol Exposure: An International Perspective', Alcoholism: Clinical and Experimental Research, 27/2, pp. 362-73. Lebel, C. et al. (2008), 'Brain Diffusion Abnormalities in Children With Fetal Alcohol Spectrum Disorder', Alcoholism: Clinical and Experimental Research, 32/10, pp. 1732–1740. Kingdon, D., Cardoso, C. and McGrath, J. J. (2016), 'Research Review: Executive function deficits in fetal alcohol spectrum disorders and attention-deficit/hyperactivity disorder – a meta-analysis', Journal of Child Psychology and Psychiatry, 57/2, pp. 116-131. Bakhireva, L. N. et al. (2017), 'Challenges of Diagnosing Fetal Alcohol Spectrum Disorders in Foster and Adopted Children', Alcohol, 67, pp. 37-43. It's time to focus our attention on what the latest evidence-based research tells us works to support learners in the classroom. The May 2018 Annual SEND Update conference will give you the skills to translate the latest research into effective practice. How can we support the emotional regulation of children with autism?